Rachel Ezouz, born 1947 in Tel-Aviv, Israel. PhD of Art Philosophy, NPC, Cal. U.S.A. Masters of Philosophy and of Education, Tel-Aviv University. Lecturer and teacher of education and culture in academic institutes in Israel. She has also been a journalist and art critic for 30 years. Writing and illustrating textbooks and children's books. Over the last decade she has been working at the Tel Aviv Museum's print workshop and has been exhibiting with her work group throughout the country. Works mainly with Read Morewood and linoleum. “I like working in wood. The unprocessed wooden board hold an untold story and beckons the creating artist to take part in it. 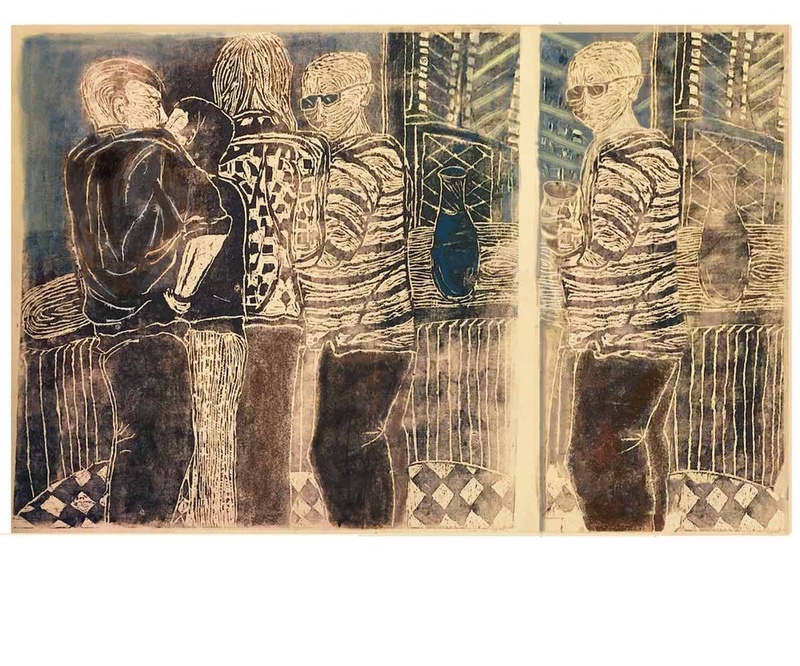 The dialog between the images already present on the wooden board and the images etched on it by the artist are exposed even before the printing process. “I work in a traditional way. Very large works I print with Baren by hand and then scanning them and printing them in a digital print”.